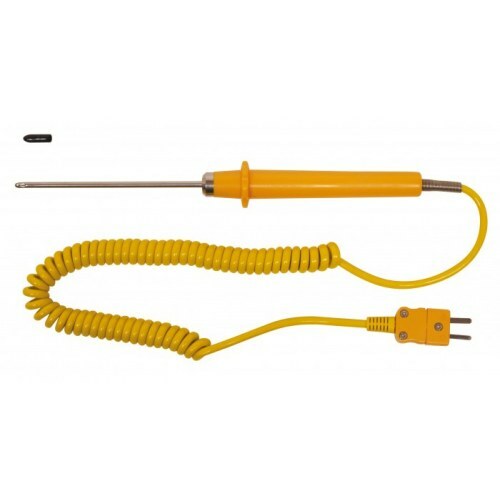 A dual purpose air and liquid temperature probe with a polypropylene handle and coiled polyurethane lead. Fitted with a moulded miniature thermocouple Type K thermocouple plug. Ideal for use in heating and ventilation applications and as a general purpose temperature probe.